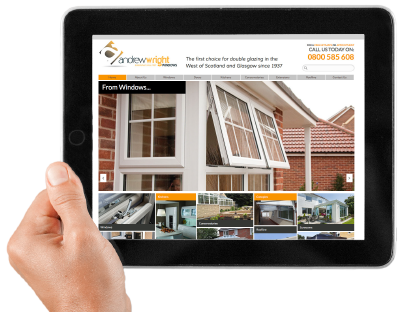 Andrew Wright Glass has been established since 1937, operating from its business premises in Irvine, Ayrshire. Our Head Office, Showroom and “Window” Manufacturing sister plant are also based in Irvine, making Andrew Wright a leading local employer. With almost 80 years experience in the glass industry we have built an extensive range of standard and bespoke products for our current marketplace. We supply to Trade, Public, Local Councils and Commercial markets, providing our customers with the highest levels of customer service, quality and value. Andrew Wright Glass has its own Glass Toughening Plant which is able to toughen glass from 4mm up to 19mm. This places us one step ahead of our competitors. Using high spec glass Andrew Wright Glass manufacture to British and European Standards. Our products are tested regularly by the British Standards Institute. Our quality Management system BSI: 9001 comprises a suite of policies, procedures and processes ensuring efficient and effective management of our daily business operations.